*CO2 emissions and fuel consumption based on internal targets under WLTP regulations. 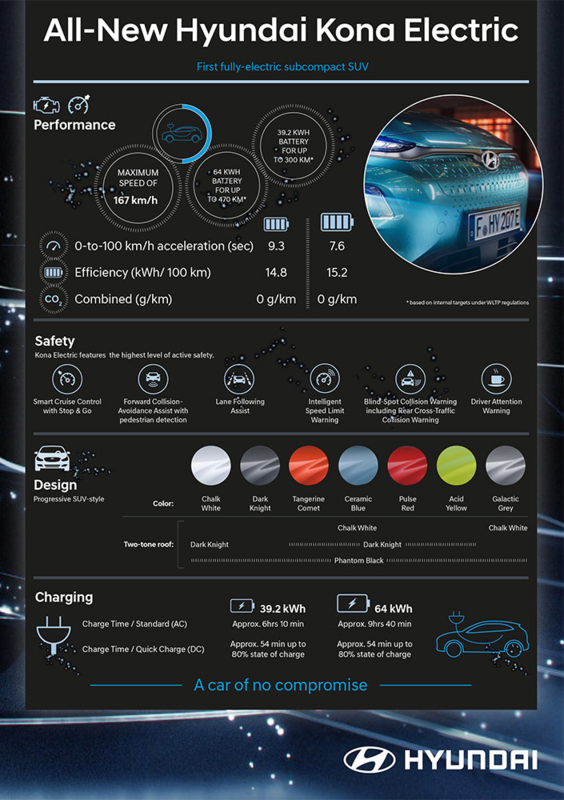 In a test conducted in Rome, Italy, consisting of 150 km drive with 45% in city, 45% extra-urban, and 10% highway, the Hyundai Kona EV was the most efficient of the 6 electric vehicles tested. 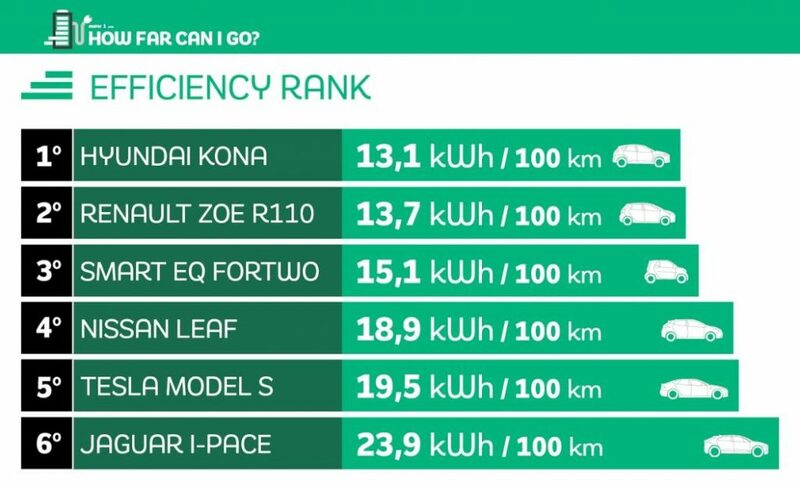 In the test, the Kona Electric used only 13.1 kWh per 100 km driven.